A backdoor Roth IRA lets you convert your traditional IRA to a Roth, even if your income is too high to open one the regular way. A backdoor Roth IRA is a way for people with high incomes to sidestep the Roth’s income limits. Basically, a backdoor Roth IRA boils down to some fancy administrative work: You put money in a traditional IRA, convert the account to a Roth IRA, pay some taxes and you’re done. Even though you didn’t qualify to contribute to a Roth, you get to go in the back door anyway. That’s good news, because your money grows tax-free — and that’s a pretty sweet perk when it comes time to take your money out in retirement. » Ready to get going? Check out our top picks for best Roth IRA providers. Convert the account to a Roth IRA. Your IRA administrator will give you the instructions and paperwork. If you don’t already have a Roth IRA, you’ll open a new account during the conversion process. Prepare to pay taxes on the contributions to your traditional IRA. Only post-tax dollars go into Roth IRAs. So if you deducted your traditional IRA contributions and then decide to convert your traditional IRA to a backdoor Roth, you’ll need to give that tax deduction back. When it comes time to file your tax return, be prepared to pay income tax on the money you converted to a Roth. Prepare to pay taxes on the gains in your traditional IRA. If the money in that traditional IRA has been sitting there awhile and there are investment gains, you’ll also owe tax on those gains at tax time. The conversion needs to be one of the following: 1) a rollover, where you receive the money from your IRA and deposit it into the Roth within 60 days, 2) a trustee-to-trustee transfer, where the IRA provider sends the money directly to your Roth IRA provider, or 3) a “same trustee transfer,” where your money goes from the IRA to the Roth at the same financial institution. The IRS requires rollovers from traditional IRAs to Roth IRAs to be done pro rata. That means if you convert, say, 20% to a Roth IRA, the IRS requires you to convert 20% of the contributions that were deductible and 20% of the contributions that weren’t. You can’t cherry-pick. The only way you can pay the taxes due is with money from your IRA withdrawal. Not only are you sacrificing any future investment growth on that money, there’s also the risk that, if you’re under age 59-1/2, you’ll owe the 10% early withdrawal penalty on that money. You’ll need the money in five years or less. 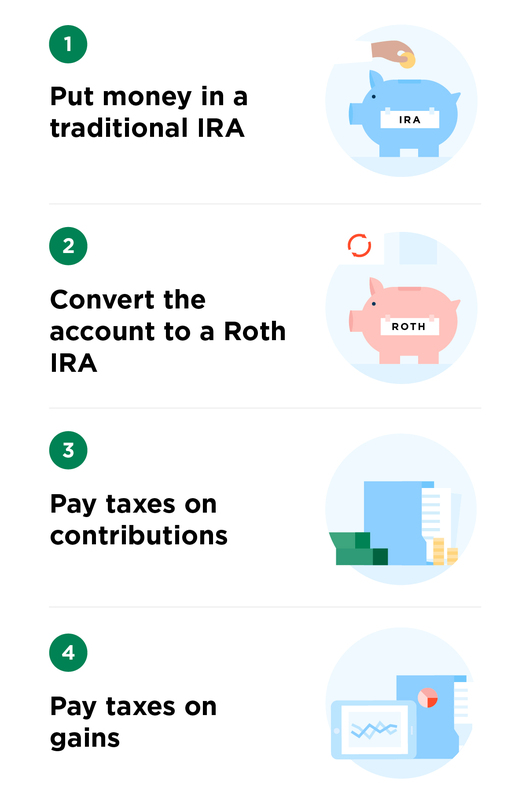 Money converted from an IRA to a Roth IRA falls under a Roth five-year rule: If you don’t wait five years to withdraw it, you could owe taxes and a 10% penalty. The withdrawal from your IRA will push you into a higher income tax bracket. It’s generally a good idea to convert just enough that you’re not pushed into paying a higher tax rate that year.